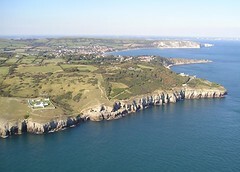 Take the A351 from Wareham (11 miles), or come across the Sandbanks-Studland ferry from Bournemouth (10 miles) to Swanage. From Swanage follow the brown tourist signs up the hill. Park in our pay and display car park. Walk in via one of the many public footpaths from Swanage or Langton Matravers or take the South West Coast Path from the west. Follow the road up from Swanage. Once you get to Durlston there are no cycle routes or bridleways, so park your cycle at the secure stands by the Learning Centre. 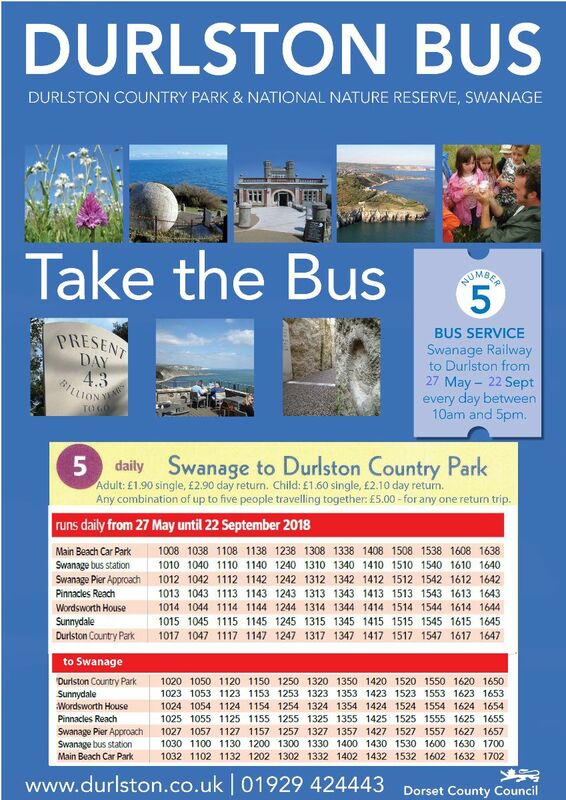 Summer Bus service, number D5, from Swanage to Durlston, is now running, from 27 May to 22 September, approx every 30mins starting at 10am from Swanage. The 2018 timetable is now available. From Poole and Bournemouth the buses arrive at Swanage Bus Station, from here it is a one mile walk - follow the Durlston and coast path signage. The nearest mainline train station is Wareham (11 miles) or Bournemouth (across the Ferry on the number 50 bus). There is a steam train that runs from Swanage to Corfe Castle. For full public transport details call Dorset Traveline on 0870 6082608. Have you thought about car sharing? 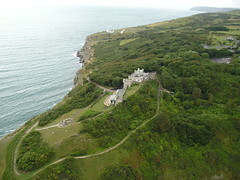 Visit the carsharedorset.com website, and sign up for this more environmentally-friendly way to travel.